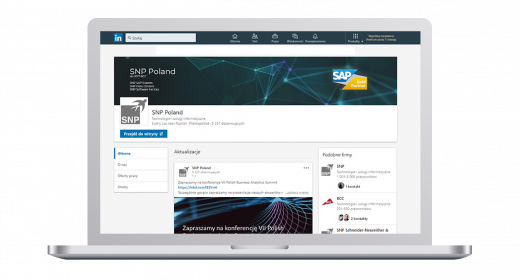 Join us for the webinar “EasyInput – try a more effective user work due to integration of SAP and MS Excel”. 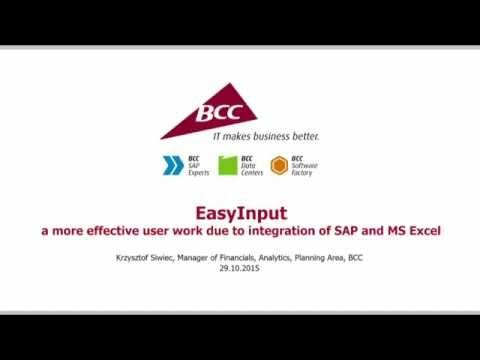 EasyInput is BCC proprietary solution which enables to run business transactions in SAP system (ERP, CRM, SRM, BW,…) based on the data gathered in MS Excel workbook. It accelerates the user’s work and increases productivity. downloading the data from SAP system. 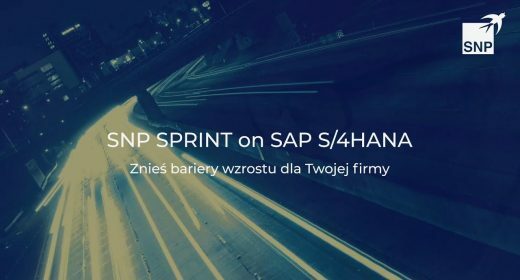 What makesthe product unique is the comprehensiveness of the support of SAP – Excel integration process. EasyInput provides ready, empty forms for entering and reading the data; generates descriptions and control information for a user as well as prompts concerning possible values that are manually entered in the fields. EasyInput also includes possibility to run in a test mode, user-friendly handling of error messages or protection against the loss of processed data. All of this functions within an intuitive interface that is integrated with MS Excel, with the multi-language support and with the user’s manual available. The webinar will be held on 29 October at 11.00.